The advantage your children’s teachers have is that they work with many kids the same age and are good at noticing when a child is falling outside the norms either academically or socially. The advantage you have is that you know your child much better than any teacher. Both you and the teacher each contribute critical information in understanding your child. Staying clear headed and avoiding being defensive is easier said than done. One teacher described an especially challenging conference she had with Mason’s mom. Mason was failing in a number of subjects primarily due to missing homework. Her goal was to work together to come up with a plan to help him be more successful in school. The teacher also offered to tutor Mason during recess or after school but the mom did not think any of these ideas would work well. Instead she threatened to go the principal to report the teacher. Not exactly a recipe for building a positive relationship! 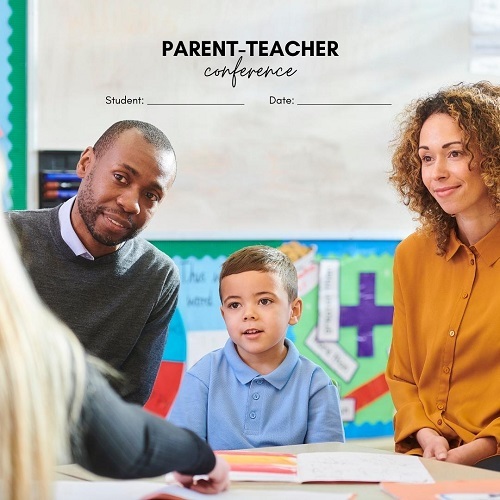 Participating in a difficult conversation with your child’s teacher isn’t easy. In the book Crucial Conversations: Tools for Talking When Stakes Are High, the authors state “Each of us enters conversations with our own opinions, feelings, theories, and experiences about the topic at hand. This unique combination of thoughts and feelings makes up our personal pool of meaning. … When two or more of us enter crucial conversations, by definition we don’t share the same pool. Our opinions differ. I believe one thing; you another. I have one history; you another. The best decisions are made when everyone involved adds to the shared pool of meaning. In this case, you, your child and your child’s teacher all have important information to add to this shared pool of meaning. When discussing a problem with your child's teacher, your strong emotions may urge you to either fight or flight. For example, Mason’s mom went into fight mode and did little to contribute to the shared pool of meaning. What do I really want for the relationship with my child’s teacher? Focusing on these questions will help calm your emotions down. The questions will also help engage your thinking so you can continue to positively participate in the conversation. Some kids are able to successfully manage their own homework and projects while others need more guidance. No matter what grade your children are in, they need to take primary responsibility for their school work. However, when kids are disorganized or motivated to do anything but homework, it is essential for the teachers and parents to work together. One teacher described the success he’s had working with parents to turn around situations where students were falling behind. He agreed to let parents know when their children were behind in turning in a couple assignments. The parents helped by reinforcing with their children at home the importance of getting their homework done on time. The partnership he has with these parents helped get their children on track before they were too far behind to easily catch up. It’s useful to remember that both you and the teacher have a common goal of helping your children do their best in school. When you can work together to find solutions, your children really benefit.